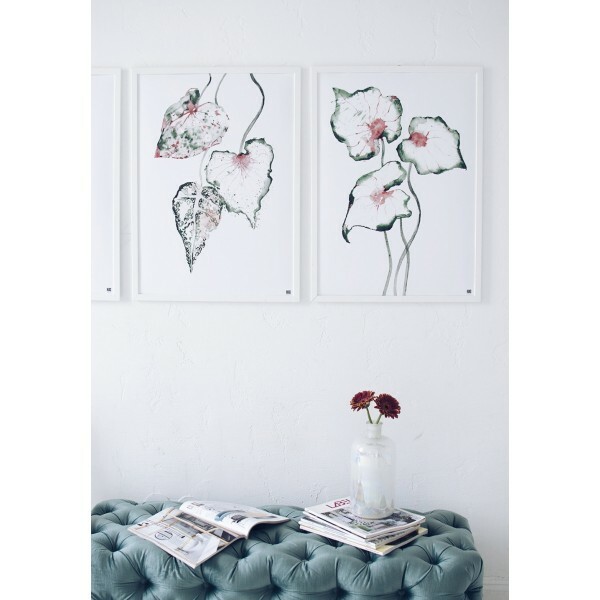 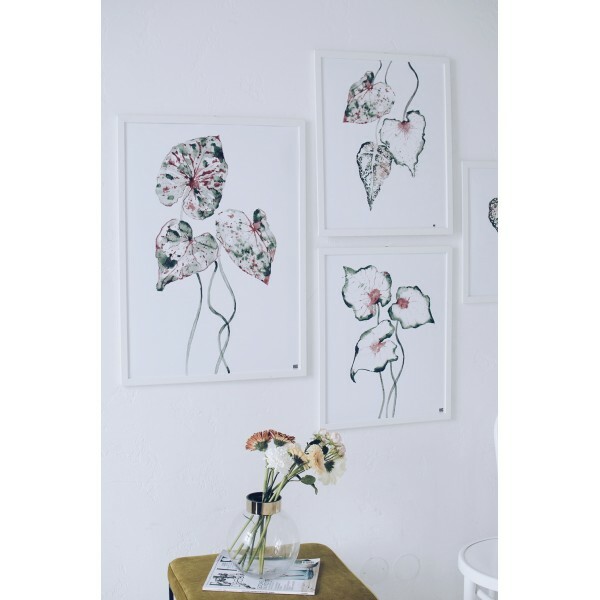 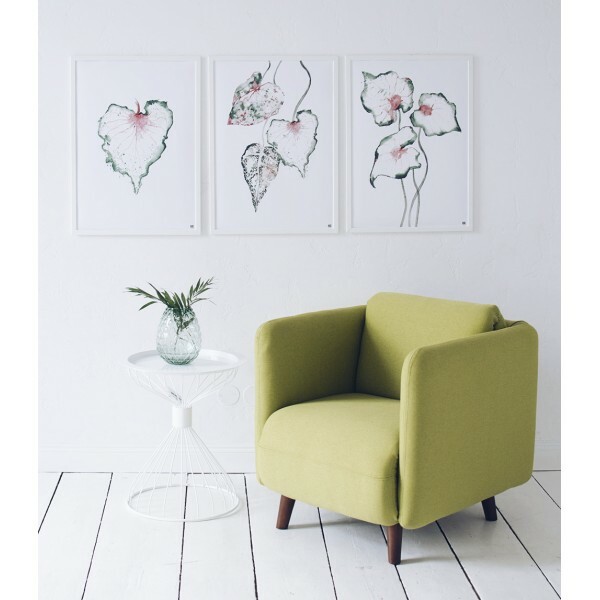 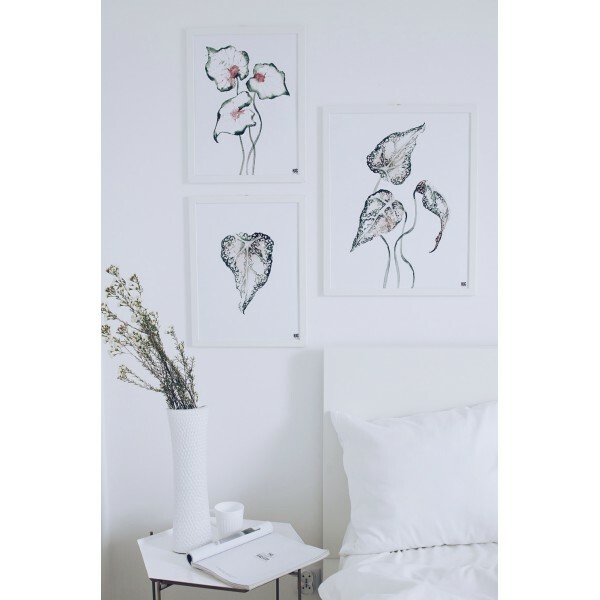 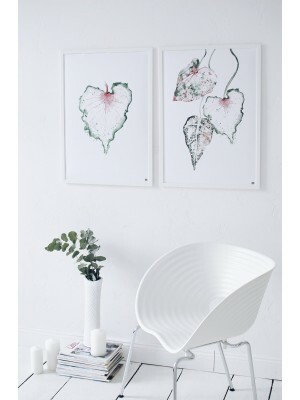 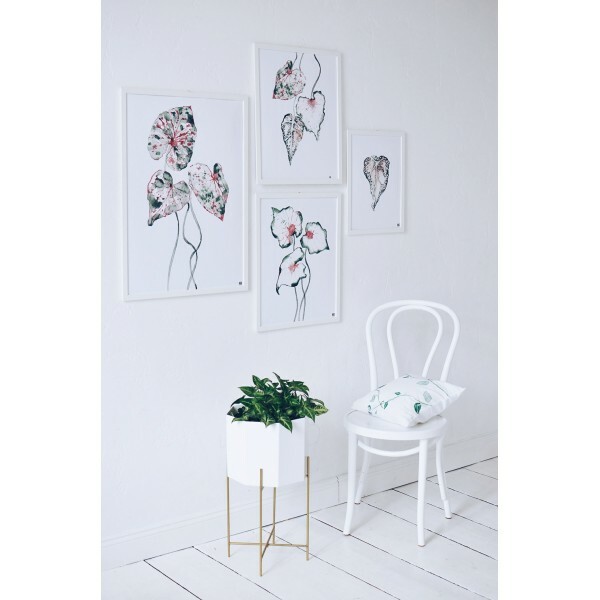 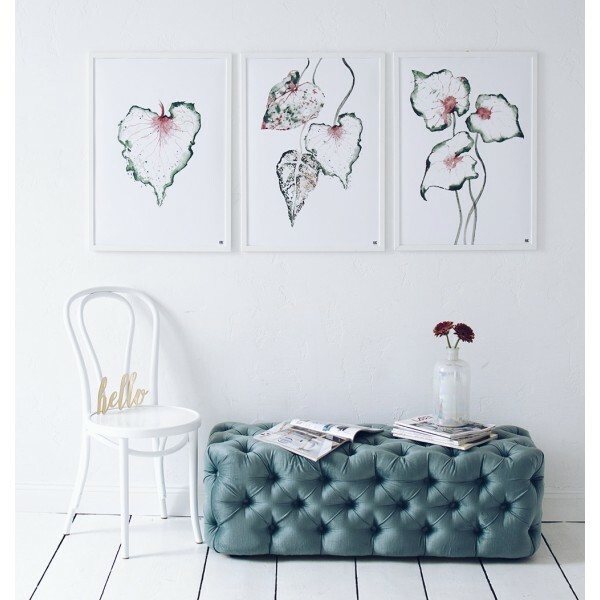 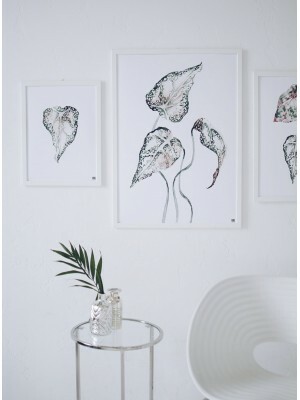 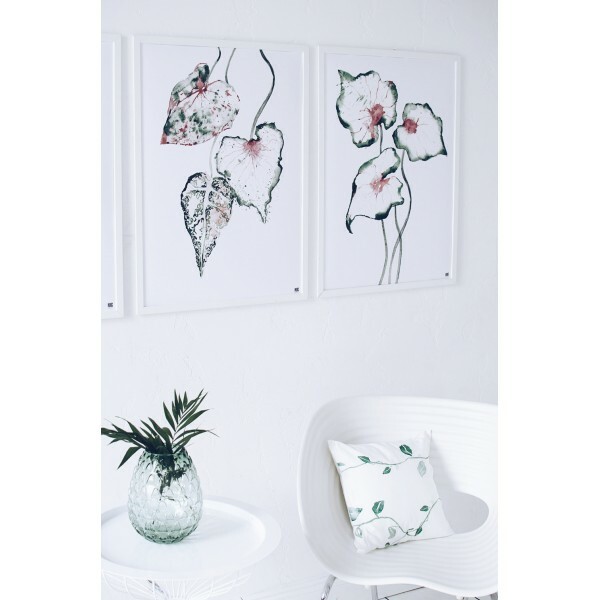 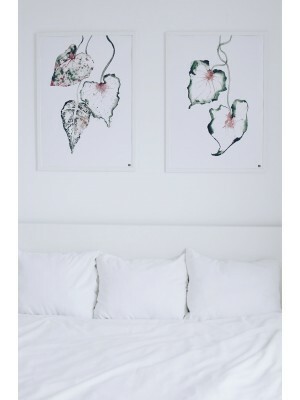 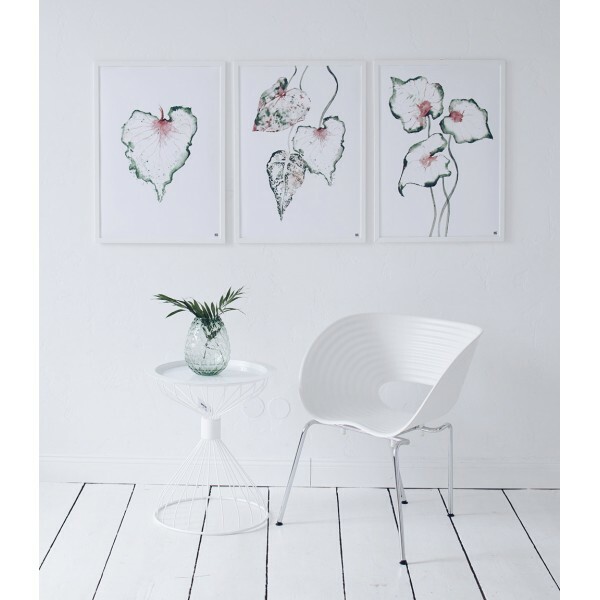 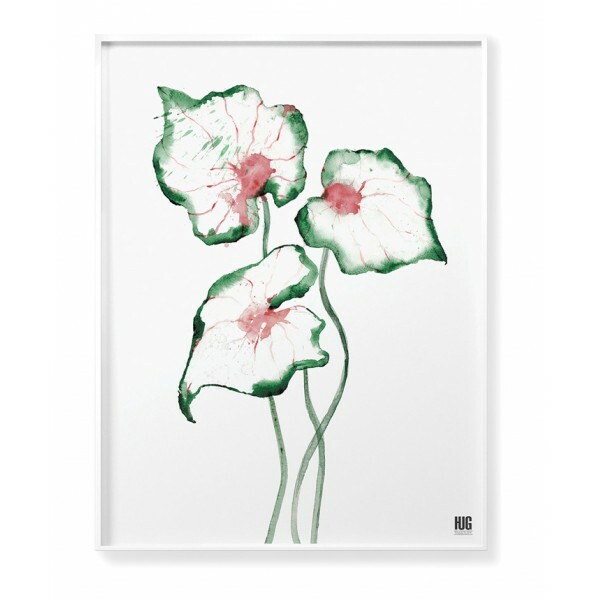 Botanical poster with a motif of caladium leaves that will bring a touch of nature to your interior. 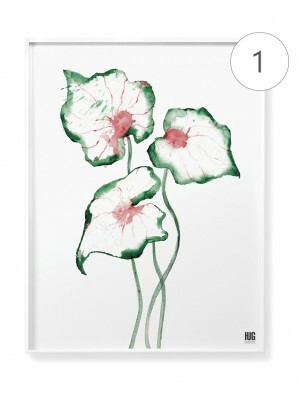 Kaladium is an exotic plant that has beautiful, decorative leaves. 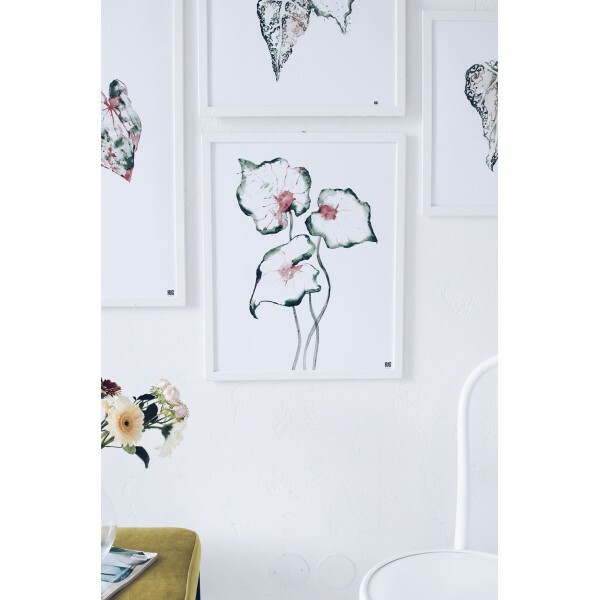 These flowers come in a variety of colors. 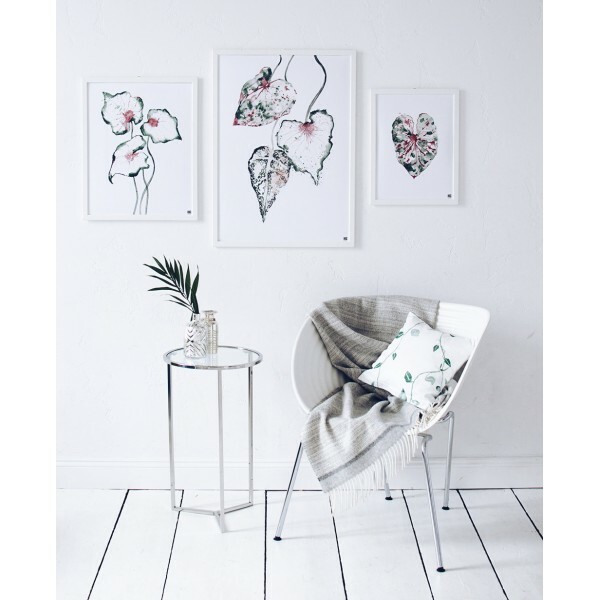 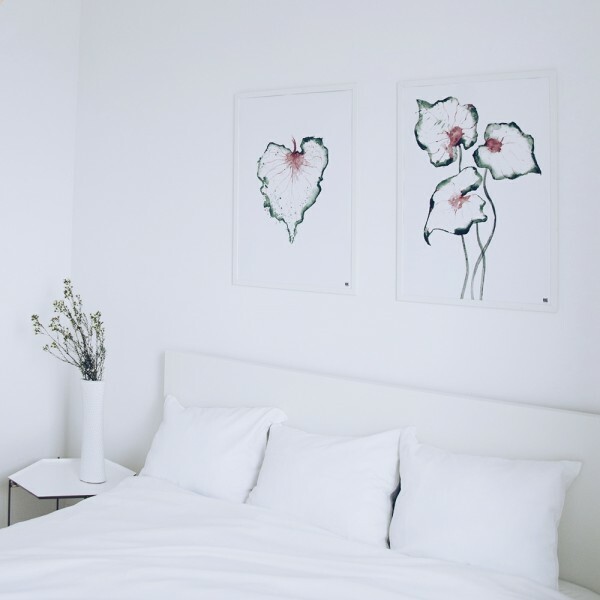 The poster will be perfect for people who value nature and who like to surround themselves with floral motifs in interiors. 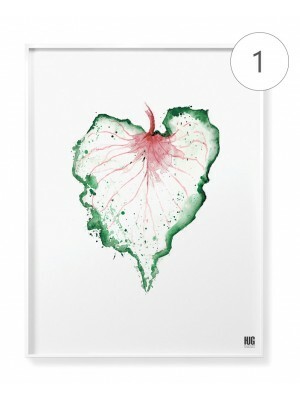 Graphics painted with watercolors technique. 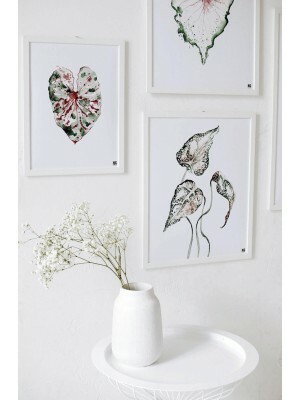 It fits perfectly with other plant posters from the same collection.